Get Your BC Racing Wheel HB 15's for Audi Vehicles at ModBargains! BC Racing Wheels HB 15's are now available for Audi vehicles at ModBargains with GREAT PRICES, FAST SHIPPING, and QUICK DELIVERY TIMES! Give us a call to order at 714-582-3330. The BC Racing Wheels HB 15 is a two piece fully forged wheel that is sure to attract everyone’s attention. The HB 15 is a wheel that can be used in many different driving situations. You could literally take your everyday car to a drift competition and race it on the circuit, and the BC Racing Wheels HB 15 will take the thrashing like a champ. This wheel is so light and strong and has numerous customizable features that contribute to its functionality and signature look. 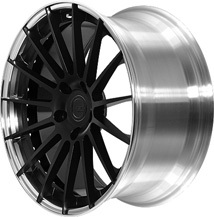 BC Racing Wheels' HB 15 has a super deep concave face and spokes that go all the way to the edge of the lip. This makes the HB 15 wheel appear larger in diameter and make the most out of it's construction. BC Racing Wheels provide the best durability and strength. Each wheel is made out of pure T6061 aluminum for high surface density. When ordering the HB 15, you can be assured that you are getting the best wheel for your buck! The production process is a big deal for BC Racing. There is absolutely no compromise when it comes to aesthetics and function, so you don’t have to settle for less than perfect when buying a wheel from BC Racing Wheels. BC really had some fun designing the wheel to look good and still be functional for all of your driving needs. You really get a set of wheels that brings out your personality, strength, and the lightness that will get your tires spinning and turning heads! So if you have questions or need info, our product experts at ModBargains would love to talk to you! Just call 714-582-3330. The BC Racing Wheels HB 15 can come in just about any color or finish that your mind can imagine. The limitless customization you can apply to BC's wheels is what gives you car that unique look that distinguishes it from the rest. And with the help of one of our ModBargains product specialists you can order your dream wheel fitment and style in a matter of minutes. So if you're ready to grab a new set of BC Racing Wheels HB 15's, give ModBargains a call at 714-582-3330. Buying your BC Racing Wheels from ModBargains is an excellent decision. Our product experts will ensure that you order the right fitment and wheel for your car and answer any questions that you may have with ease. We also offer the best customer service in the business, and our delivery times for wheels are quick and easy for your convenience and happiness. 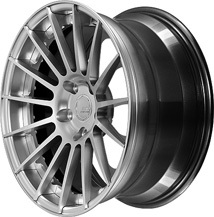 We offer great prices on BC Racing Wheels. If you're looking to completely deck out your ride with a new look that's light and strong, grab a set of BC Racing Wheels HB 15's at ModBargains!